Katerina Theodoridis in Drama on 9 June, 2016. 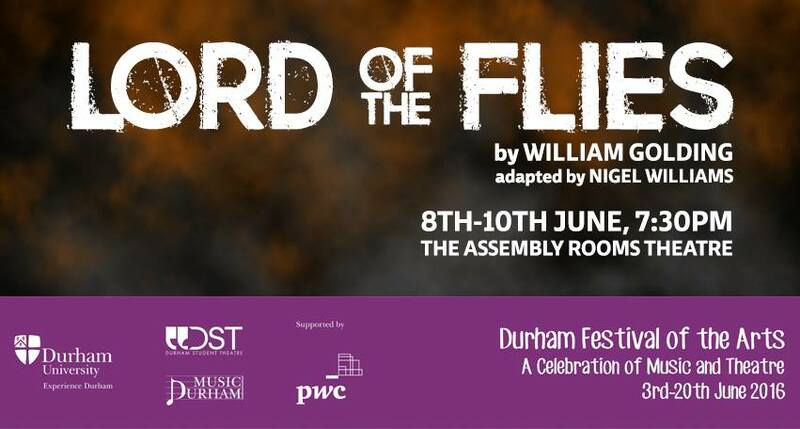 Fourth Wall Theatre managed to put on a powerful and heartfelt performance of Lord of the Flies, successfully tackling many of the issues raised in Golding’s novel. Director Lydia Feerick emphasized the complex realities embedded in the script, really focusing on the central conflict between savagery and civilization. The production brought into focus the nature of human instincts and aggressions, while adding a dystopian twist which worked well with some parts of the production. The ominous presence of the adult doctors created a chilling and haunting atmosphere, but it felt like there was not enough commitment to the dystopian twist, making the ending slightly disjointed from the rest of the play. Leaving the doctors silent would have potentially been better as they would be left symbolic and ominous figures – the true ‘Beast’. Melanie Clarke’s portrayal of The Adult was slightly excessive and unnecessary; the dynamic between her and the children was too similar to the among the children themselves, reducing the effectiveness of her earlier silent appearances. The contrasts between Jack (Elle Morgan-Williams), Piggy (Annie Davison) and Ralph’s (Clementine Medforth) characters really emphasized the various layers of human nature, from savage and instinctive to civilized, and Morgan-Williams’ Roger showed the ugly degeneration of fallible humans. Davison’s stunning performance as Piggy really stood out. She was captivating, her performance consistent, and she was in character every single moment on stage. Davison did an amazing job at portraying the rational Freudian superego created by Golding. Another outstanding performance was by Stephanie Sarratt, who played the savage and degenerating character of Roger. Her performance was reminiscent of something out of The Virgin Suicides or The Breakfast Club, and was both thrilling and extremely well developed. Dressing the most powerful actresses in colours which were different to the rest of the cast resulted in drawing even more attention to their stunning performances. Medforth put on an absolutely heartbreaking performance at the end of the second act, successfully ending the show on a dark and bitter note. Overall, Medforth’s performance throughout the play was coherent, and Ralph’s dilemmas and crumbling resolution were shown clearly. This strikes me as the most challenging role in the play and Medford tackled it well. One character which I was hoping to see develop more was that of Simon (Grace Bryan). Bryan’s performance was powerful, yet lacked conviction due to how little we saw of her; Feerick did not allow Bryan to reach her full potential as an actress, and the Christ-like elements to Simon’s character were not as striking as I had hoped. Technical Director Elena Mychalekyj did a great job with the music and lights, and overall the stage and costumes (with assistance from Harriet Billington) looked great. I felt the music was very fitting and poignant, and never as awkward as music can often be. The perspective changes with frozen scenes and lighting worked really well and the actors did not seem to move an inch when the focus was not on them. A great addition to the set was the semi-transparent drape which was lit up to reveal the doctors, and the small amount of fog on stage during one of Ralph’s breakdowns, both of which really added to the eerie atmosphere. Seeing such a large number of female actors on stage all at once, and in similar uniforms, was slightly disconcerting, but most characters were developed well through the course of the play. The chemistry between the girls was fantastic, especially that between Abigail Weinstock (Sam) and Ambika Mod (Eric), which provided a good amount of comic relief during intense or heavy scenes. The physicality of the girls matched their characters well and overall the all-female cast worked together brilliantly. However, I felt that having girls play boys was not massively effective when considering the potential gender-related themes that could have been explored from the text. Yet, in terms of the staging, having an all-male cast would have potentially been a little too intense, considering the amount of violence and aggression embedded in the play. Instead, these girls were really given the chance to act and project, making the performance intense. Overall, despite a couple of aspects which didn’t quite fall into place, the cast put on a beautiful show which brought to light a number of issues regarding human nature – a performance definitely worth watching.